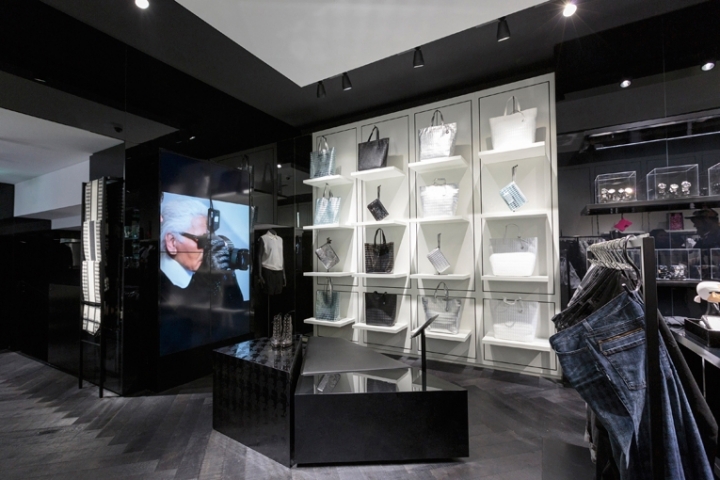 Hot on the heels of the launch in Paris, a Karl Lagerfeld concept store has bowed in Amsterdam's canal district. Located in a listed 18th-century building, the 150 sqm. [1,615 sq.ft.] 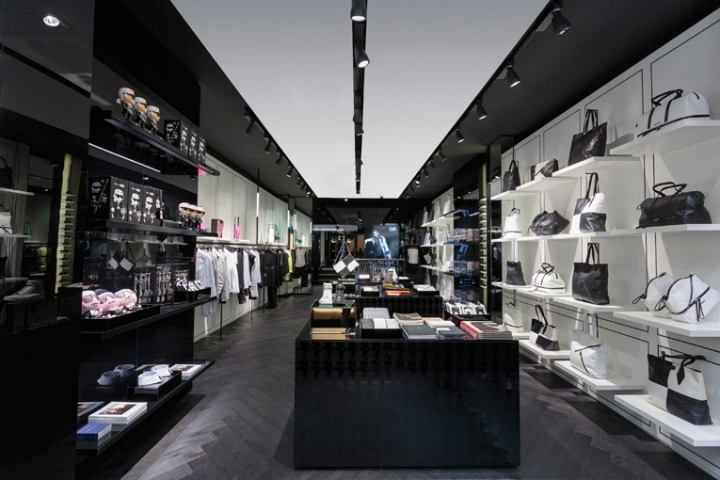 store features the brand's black + white colour scheme, captured in a series of shiny and matte surfaces, while also incorporating many of the structure's historic elements. The ground floor space will showcase women’s ready‐to‐wear, footwear, eyewear, accessories and an assortment of gifts such as monsieur lagerfeld’s favorite photography and design books. The basement section is home ot the men’s ready‐to‐wear, eyewear and accessories collections. 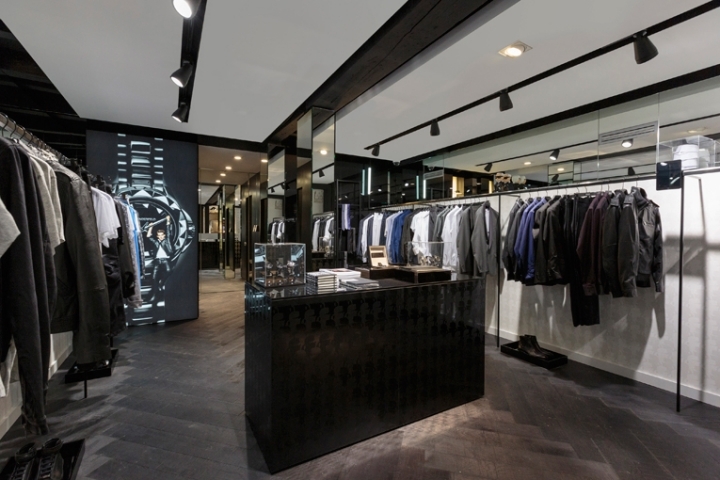 a myriad of mirrors and walls of light illuminate and enhance the collection displays. 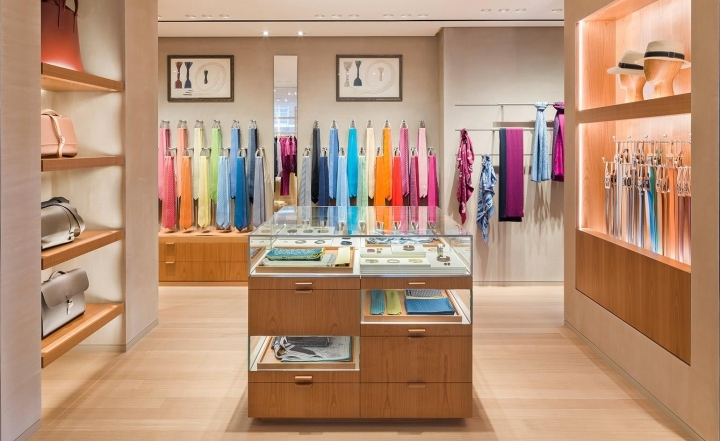 Similar to the store in paris, this one embraces new technology. Shoppers can use a digital guestbook on ipads, where they can view the latest collections and news, watch videos, surf the brand's website and take photos of their fav items. The digitalisation extends into the changing as these rooms are equipped with unique photo booths wirh built‐in touchscreens that enable shoppers to snap their look and apply various Karl‐inspired filters to their photos. these can then cleverly be shared via social media and e-mail. 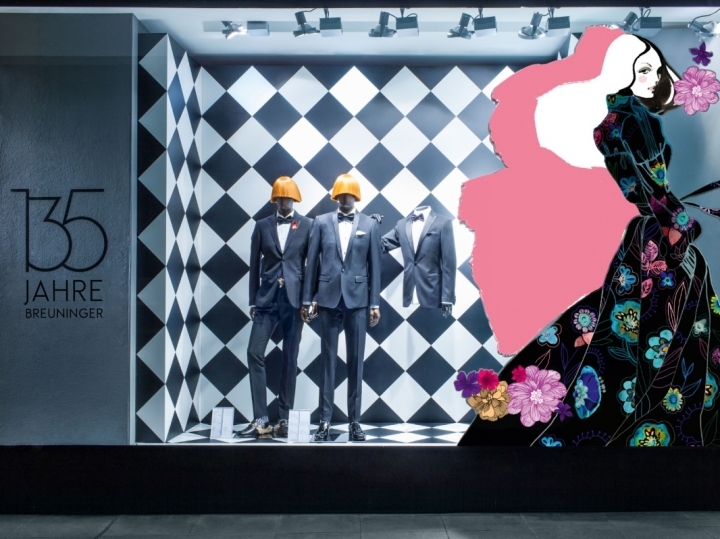 the Karl Lagerfeld store in Amsterdam stocks the brand's entire product line, except the more exclusive karl lagerfeld paris apparel collection. location: hartenstraat 16 [centrum].